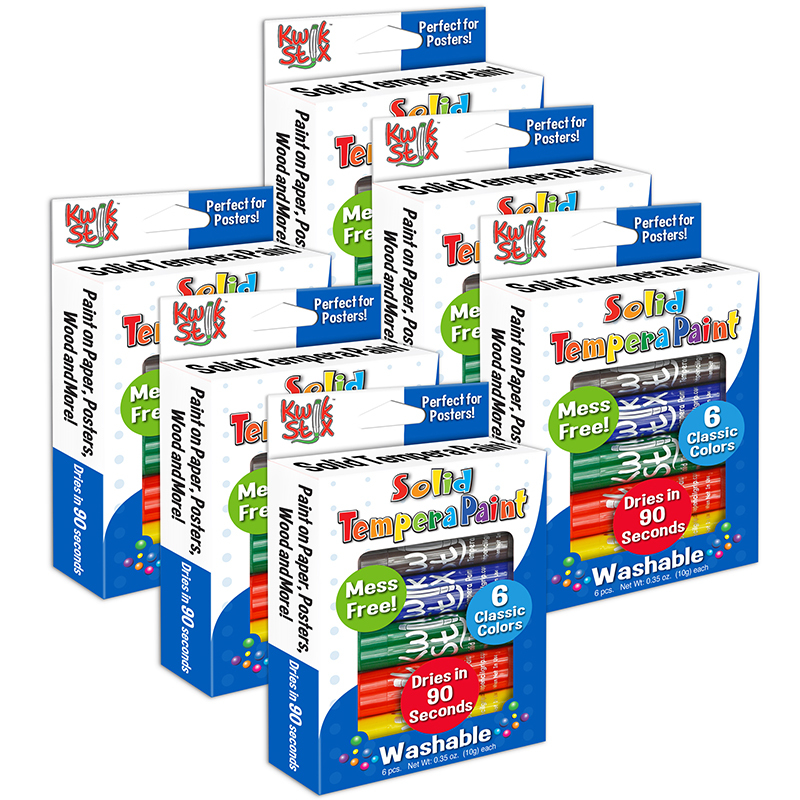 Ultra Washable Prang Tempera Paint makes clean up easy! 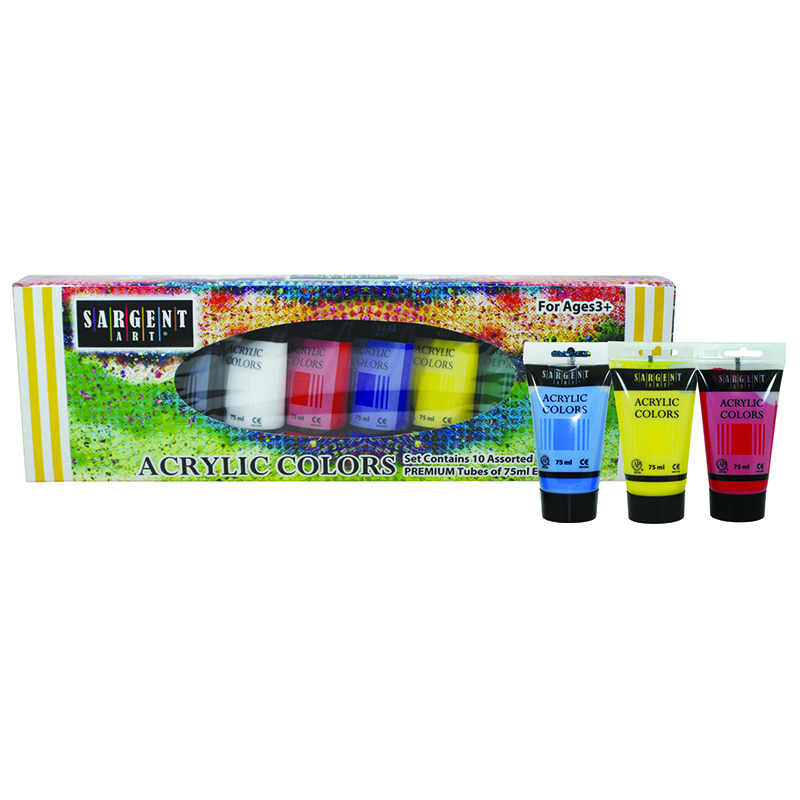 Eight vibrant colors blend easily to create any work of art. Set colors include red, yellow, blue, green, orange, purple, brown and white. Paint comes in mini (25ml) jars. AP Certified non-toxic. Each individual set contains 8 paint jars with 1 brush. Sold as 6 sets for a total of 48 paint jars and 6 brushes. 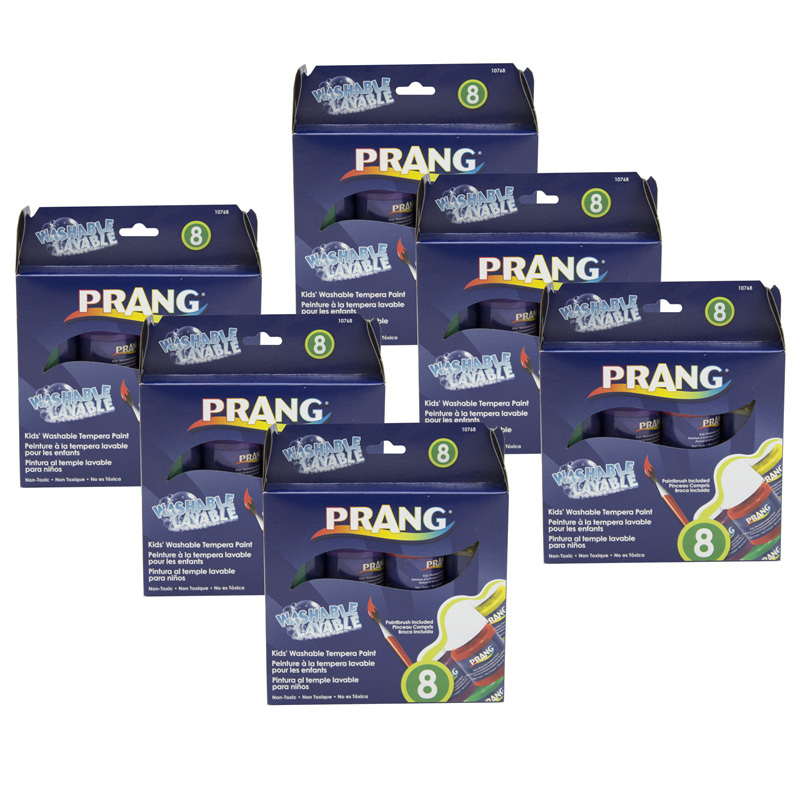 The (6 St) Prang Washable Paint 8 Colors Per Set can be found in our Paint product category within the Arts & Crafts.